Are your favourite hand reading books included in the rankings? Hello Lilliana, thank you for sharing your 'favourites' list!! Please share your experience and opinion about " The complete encyclopedia of practical palmistry" by Marcel Broekman, published by Granada Publishing Limited in 1981 in New Delhi - India. I bought this above mentioned book today. First of all I want to not that I am not really familiar with Broekman's work. But I would like to report that Ed Campbell mentiones in 'The Encyclopedia of Palmistry' a quote from Broekman's book. But unfortunately, that quote indicates to me that one can not rely on Broekman's writings. "... In addition to these groups, we have a curious observer, Marcel Broekman, who found 'a whorl in the print of the skin' 'under each finger'. He proposes that the apex of this whorl indicates whether the mount is centered or displaced. Strong qualities are found in mounts where the apex is centrally located. Later we discuss whorls, but they are, as commonly conceived, most likely to be found in fingerprints. Whorls are seldom seen under the fingers. Was Broekman finding whorls indicated by the incomplete pattern of skin ridges above the triradii? Perhaps he sees triradii as whorls. Because of the rarity of whorls as commonly understood under the fingers, his observation is obscure." I understand what Ed describes here... and I am 100% sure that Broekman's claim that a whorl can be found 'under each finger'... an example of pure speculation by a non-expert. I can not support the work of authors who describe things that not true. PS. Broekman's was listed in the previous version of Amazon Palmistry books TOP 100, but his ranking dropped to position 102 - and there for it is for the time being no longer listed in the ranking of the first 100 books. Thanks Martjin for your precious opinion. Following contents of "The complete encyclopedia of practical palmistry" by Marcel Broekman. Broekman's was listed in the previous version of Amazon Palmistry books TOP 100, but his ranking dropped to position 102 - and there for it is for the time being no longer listed in the ranking of the first 100 books. Presently, the author and book name is not present in any category of Amazon Sales. PS. But you will probably never find Broekman's book in the TOP 100 at Amazon.com, because that always based on the daily rankings... but these fluctuaty very much from day to dayI Therefore I don't use the 'daily ranks'. I am using another website (titlez.com) where I monitor the 90 day average rankings of the Amazon rank - but that info is never available via Amazon.com, that is why my TOP 100 project is actually much more reliable than the daily rankings of Amazon! I hope this now make sense? I am used to checking your website ( handresearch.com) almost on daily basis for updates. Asif, very nice to hear that you keep searching on my website for more info! Thanks for your enthousiasm & support! Could you tell me the information again about the F.B I. book on fingerprints. I am exhausted looking on the forum trying to find it. Thanks. PS. Not sure, is this the answer that you were looking for? Amazon has recently changed the name of it's 'Amazon Sales Rank' measure into the new 'Amazon Bestsellers Rank'. And it appears that they introduced this change early in february 2011... but unfortunately it appears that TitleZ.com is currently no longer able to deliver the data that I used to update the Palmistry TOP 100 books project. very good quality update and informations. Perhaps we have to do our own updates,too. What do you think about `Das Handlese Handbuch`from Werner Koch, 2003, Windpferd? PS. Sorry, I am not familiar with the work of Werner Koch. PS. I have just added the books of the first 10 authors in last update of the Palmistry books TOP 100; notice: the 'salesrank' probably fluctuate from day to day... so I will have to wait for a while before I can start updating the TOP 100 again. We can now even see how many copies of the books have been solved since I have started tracking them! Also, nice to see that my account provides an overview of the 'current rankings' (based on today's statistics)... but my TOP 100 project will continue to provide the most reliable info: based on rankings during timespan. PS. I assume that everybody can see the rankings...? Yes I can see them fine. Is it counting only since you started the page a couple of days ago? ie I guess sales before 21st June are not recorded? Lynn wrote: Yes I can see them fine. Hi Lynn, thanks for your feedback! Yes, that's correct: the 'sales' reflect only the activity since I included the title in my account. Some of these book are only listed for a couple of hours, but it is interesting to see that even after a few hours it is quite obvious that most of the 'sales' relate to books which are high listed in the ranking at my website. Have you tried to put your mouse on a title? Only the 'Average Rank' for each book provides reliable info (after being monitored for at least a few days) - because the (daily) 'Sales Rank' becomes highly INFLATED if a 'sale' is made for a book that is not very popular at all. For example: 1 'sale' can make a book jump from position 1.000.000 to position 100.000 - but the 'Average Rank' will only slightly improve due to one 'sale' (after the 'Average Rank' has stabilized after being montiored for at least a few days, etc). I have The Benham Book of Palmistry and I strongly recommend it, it is really good. However I do not recommend Edward Campbell's Encyclopedia of Palmistry. Today I have Joined the Forum and got most sought Information.I am kingergarden level student in the fascinating world of Hand Reading and hope to have more guiudence from all of you there in near future. I am thinking it is very difficult recommending books. What I like and what others do is a very different thing indeed. I think on the forum you eventually tune into people who you sense have similar minds. 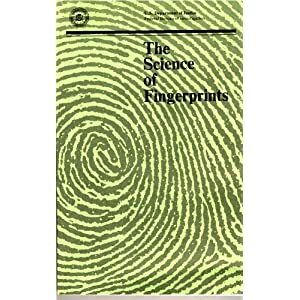 My opinion still is the Benham book is a very good book and recommend it, but there are always books which turn up and were unknown to me and are really, just not good, but to me great and an example is I recently got Andrew Fitzherbert's Hand Psychology and just love it. Anyway good luck and hope you find the books that will help you but remember you will get all the help and advice you need on this forum and don't hesitate to ask. Today, I bought " Everybody's guide to Palmistry" by Sri Krishan Das published by a Sterling Paperback in 1988, India. What is your opinion about that book have you ever read it. Sorry Asif... I never heard about this author. Via the first link one can see that over half of the books (50 titles) with a lower average Amazon Salesrank have been sold, while the only four of the books (4 titles) with a higher average Amazon Salesrank have been sold (only 2 titles have been sold so far in the first 2 weeks of this month).